Posted on May 26, 2017 by Aliya A. 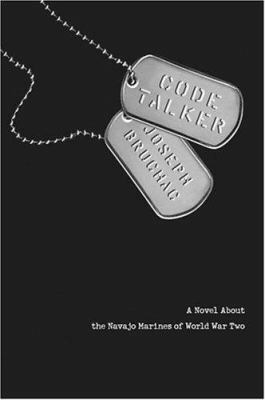 Code Talker: A Novel About the Navajo Marines of World War Two, by Joseph Bruchac, is based on the Navajo code talkers during World War II who created a secret code based on their language to be able to send and receive messages that wouldn’t be deciphered. It is told from the point of view of a former Navajo Marine who is talking to his grandchildren, so the book is relatively fast-paced since it goes through a span of a few years pretty quickly and doesn’t go extremely in-depth. It starts off with the main character going to an American boarding school, and continues through until the end of the war with the Japanese. The book highlighted a part of World War II in the Pacific that I never knew about, and emphasized the importance of the code talkers during the war with the Japanese. It also focused on the personal reactions of the main character to the things around him and the way he uses his culture and the “Navajo way” to help him deal with his surroundings. The book also goes over some of the prejudice that the Native Americans went through and the way they overcame it by showing that they were capable of handling their jobs. Overall, the book summarizes a lot, but it was cool to learn about historical facts that I’d never heard of before, the different islands that were battled over, and the the Japanese and American defense and attack strategies. Personally, reading this book came at a good time for me, since I started reading it right before we learned about WWII at school and the war with the Japanese. I really liked it, although I felt that it could have gone more into depth about some of the things that happened and the people around the protagonist, but it was written like a person would probably tell a story about serving in war to young kids while at the same time remembering the things that happened, so I think that the way it was written was appropriate. I would definitely recommend it to anyone interested in history and WWII. Code Talker: A Novel About the Navajo Marines of World War Two by Joseph Bruchac is available for checkout from the Mission Viejo Library. Posted on May 24, 2017 by Mirabella S.
Anthem, a dystopian novel by Ayn Rand, is certainly a unique piece of literature. Described by herself as not a book, but a poem, and with a plot lasting less than 50 pages, Anthem is an ode to Objectivism. Written in 1937, imagined in the Soviet Union, Rand wrote the book in a time of political turmoil, which is reflected in her writing. The story follows Equality 7-2521, a man who lives in an entirely collectivist society. Forbidden to think individual thoughts or exercise free will, Equality knows that something is wrong with the world he lives in. Since he was a child, he was different than his peers: he was always curious. When it is time for him to be assigned a job, he is not given the job of a scholar, as he wishes, but is sentenced to a life sweeping streets for this essential sin. However, this dark future opens up to light, quite literally, when he makes a revolutionary discovery. Without spoiling the plot of the story, I can say that the book praises the human ego. Ego seems today to have a negative connotation, like a person obsessed with themselves. It can almost be confused with narcissism. Whatever picture that you have in your mind of “ego”, put it out. In this context, Rand praises man’s control over his own mind, man’s independence, and man’s freedom to learn, be successful, and make choices for himself. As shown in the book, ego is a beautiful thing that society falls apart without. Anthem is the perfect, short read for anybody who wants to have more food for thought than even some average length novels can provide. 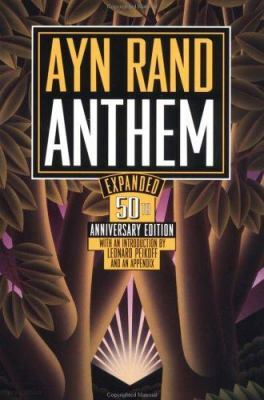 Anthem by Ayn Rand is available for checkout from the Mission Viejo Library. It can also be downloaded from Overdrive. 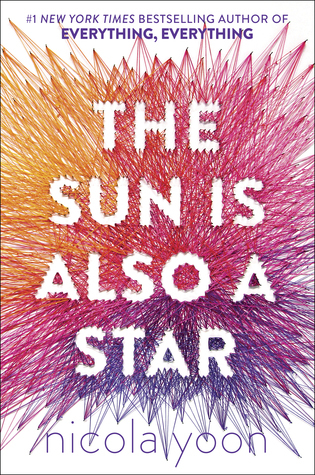 Posted on May 22, 2017 by Rebecca V.
The Sun Is Also A Star, by Nicola Yoon, is told through the perspective of two teenagers: Natasha and Daniel. Natasha is Jamaican senior who loves music and science. She is going to be deported from the United States, and tries to talk to a lawyer to let her stay in America. Daniel is a Korean senior who meets Natasha by fate. They spend the day together, trying to get to know each other better. Natasha is dealing with trying to not be deported, while Daniel is trying to avoid his Yale interview. They discuss science, life, poetry, and love. Natasha doesn’t believe that she can fall in love with him, while Daniel thinks the opposite. Even though the author wrote back and forth between Natasha and Daniel in short paragraphs, and had background information about several topics in the book as another chapter, I thought that this book was well written. You spend the entire book hoping that Natasha isn’t deported, and think that Daniel and Natasha are meant to be together. I thought that the ending was well written, but the epilogue should have been longer. 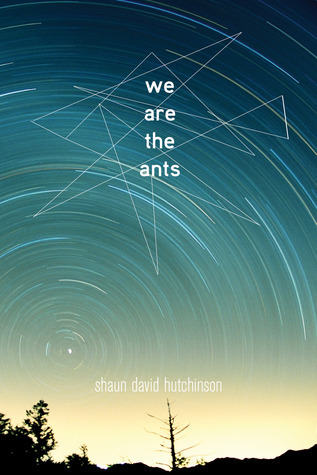 This book is for the fans of John Green. It’s bittersweet, and it makes you think that even though you think there’s no hope, there still is hope. It’s okay for most audiences. I would recommend this book for people who are okay with a sad and meaningful book. The Sun Is Also A Star by Nicola Yoon is available for checkout from the Mission Viejo Library. It can also be downloaded from Overdrive. 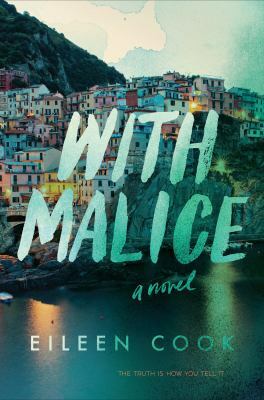 Posted on May 16, 2017 by Anmol K.
Get ready to clear your schedule because With Malice by Eileen Cook will keep you hooked and unwilling to put her story down. Yale-bound, 18-year-old Jill Charron’s life is turned around when she wakes up in a hospital bed with a big blank where the memories of the past six weeks should be. Learning that she was in a cataclysmic car accident, she is shocked when she learnt it happened in her dream school trip abroad in Italy. Struggling to recover from her injuries sustained in the accident, she is startled to discover her best friend of over ten years, Simone, is dead. Furthermore, she discovers her affluent father has hired a top-notch lawyer because the car accident and Simone’s death are being investigated as a murder, and Jill is being accused of causing Simone’s death. Simultaneously recovering from her injuries, and dealing with the aftermath of the accident, Jill must piece together the glimpses of memories she has to figure out what really happened to her best friend. As I read this book, I was completely enamored with the story, and I could not put it down. The concept of the story may not be unique, but it was told in a way that made it seem like it was. The way Jill was portrayed in the story was accurate and she seemed like a real person. The ending fell a little bit flat, but overall the story was engrossing. With Malice by Eileen Cook is available for checkout from the Mission Viejo Library. It can also be downloaded from Overdrive. Posted on May 12, 2017 by Megan V.
Welcome, pon! My name is Fav, pon! I am called a cyber fairy. My masters, from the land of magic, came up with a brilliant plan to help save the world by using a famous social game, pon! We will use the social game to find “magical girls”, those given special feminine bodies to help save the world, pon! We allow boys, girls, and even animals so long as they have the aptitude to believe in magic, pon! Of course, they will be turned into girls whenever they want to use magical powers, pon! Of course, the magical powers all depend on the person, pon. Snow White had always wanted to be a magical girl, even though she had previously thought that they were only in anime and manga. When she became a magical girl, she wanted to save people, hence her power, pon! But there’s girls who believe that ninjas and cowgirls are the best magical girls, pon! But unfortunately, the magic in the Land of Magic is running out because there are too many magical girls, pon. So, there will a test; those who cannot collect enough magical candies every week will be eliminated, pon! Oh? You want to know what I mean by eliminated, pon? It’s like it sounds! The losing girl will lose her magical girl powers, which essentially means taking a part of herself away from her, which means that she will die, pon! Of course, if one girl dies before the week is up, no one will be eliminated, pon! Oh, and I heard that there will a light novel of the events to come is coming out on June 20, so I know that these girls will provide a great psychological and gruesome tragedy that readers will enjoy, pon!!!! Er, I mean, it will be a light novel (novella with a few manga-like pages) of sixteen girls who discover the true meaning of magical girls and friendship through enduring tests and experiencing each one of them losing their magical girl powers.